An exhibition looking back on a former Polish hospital set up after World War Two is being held in Wrexham 17 years after it shut. 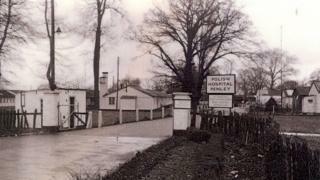 The complex in Penley had been part of a US military hospital which was given over to Polish patients in 1946. At its peak, the campus-style hospital was home to 2,000 patients and staff. 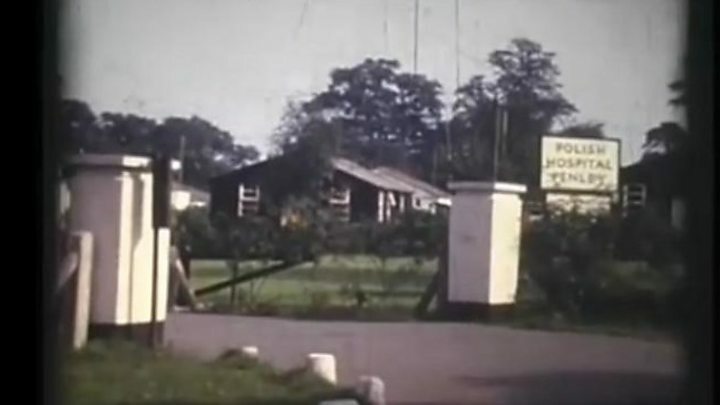 Film footage captured in the 1960s by teenager Andy Bereza, whose father was a hospital doctor, features in the exhibition at Wrexham Museum. Curator Jonathon Gammond described the community as like a "Polish wonderland" with a cinema, a chapel and recreation club, with patients originally settling there after being displaced by the war. But in the 56 years it was open, more than 2,000 babies were born at the maternity unit on the site. Mr Gammond said it was a "unique" place, "like a pre-war Poland existing in the middle of Wales". "It was a village within a village...but though it was a closed community, it wasn't walled off...there were many mixed marriages early on," he said. The hospital closed in 2002 and some of the site has since been redeveloped but remaining buildings housing the original social clubs have been under threat of demolition. They are now the focus of a campaign for their preservation, which is led by Claire Lewis whose mother was a Penley nurse between the 1970s-90s. She said: "If the buildings were knocked down we would be missing an opportunity to preserve it for future generations and to tell the stories of the patients and the staff there. "It would be a missed opportunity to celebrate our Welsh and Polish heritage and north Wales' role in World War Two." The exhibition is presented in English, Welsh and Polish and it includes an appeal to Wrexham's more recently arrived Polish community which has become established since 2004. Mr Gammond said: "We can't get away, at the moment, from discussing our relationship with Europe and how we're linked to Europe or not linked to Europe. "I thought this was an interesting example about how national, international, and local history all entwine together in one site which is pretty unique, here in Wrexham. "It's ideas of identity; how do you get on in a different country, how do you accept incomers, how do you as an incomer get on with local people...it's got so many themes that resonate with today."